Even during his most formative years, Ryan Tedder was entranced by music and its myriad possibilities. Born in Tulsa, Oklahoma, in 1979, he was encouraged to sing by his musician father and school-teacher mother at the age of seven – and has never looked back since. Like teenagers the world over, the young Ryan dreamed of pop stardom but, instead of merely posing in front of his bedroom mirror, he possessed the dedication and drive necessary to teach himself how to really sing: practising religiously for at least two hours every day in his early teens and learning his craft through imitating the vocal stylings of his heroes, The Beatles, Peter Gabriel and Stevie Wonder. Tedder’s first tentative attempt at forming the band that would eventually become OneRepublic came in 1996 when he befriended lead guitarist Zach Filkins while the two were attending high school in Colorado Springs. Dubbing their embryonic outfit This Beautiful Mess – after Sixpence None The Richer’s then-popular LP of the same name – they played a few local coffee-house gigs but disbanded when Tedder and Filkins went their separate ways after their senior year came to an end. Post-college, Tedder waited tables before securing an internship with DreamWorks SKG in Nashville, where he cut his teeth singing and producing demos for other up-and-coming talent. Though it apparently came to nothing at the time, Tedder soon won an MTV talent show that attracted influential hip-hop producer Timbaland, who tracked Tedder down in Los Angeles in 2002. For the next two years, while Timbaland schooled him in production techniques, Tedder also formed an embryonic new band, Republic, after persuading Zach Filkins to relocate to LA from Chicago. A series of personnel reshuffles later, Republic morphed into OneRepublic, signed with Columbia and settled into the line-up that remains solid to this day, with Tedder and Filkins joined by Drew Brown (rhythm guitar), Brent Kutzle (bass, cello) and drummer Eddie Fisher. 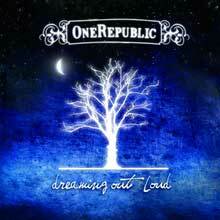 OneRepublic’s debut album, Dreaming Out Loud, had a lengthy and rather troubled gestation. Working in the studio with Grammy-nominated Greg Wells (whose writing and production credits also include Adele, Rufus Wainwright and Weezer), the album took over two years to complete, but, before it could be released, the band were dropped by Columbia. In the same way that The Arctic Monkeys had initially risen to prominence in the UK, however, OneRepublic’s burgeoning popularity on MySpace came to their rescue; the subsequent online buzz caught the attention of a cluster of potential new record label suitors. One of these imprints was Timbaland’s Mosley Music Group, who, in conjunction with associated label Interscope (a highly respected subsidiary of the Universal Music Group) issued Dreaming Out Loud in November 2007. The LP was greeted with mixed reviews on release, but it remains an inspiring debut, with the band’s sonic versatility apparent on tracks as diverse as the slow-burning U2-ish rocker ‘Mercy’, the grainy, Americana-tinged ‘Won’t Stop’ and the achingly beautiful piano ballad ‘Come Home’. The album quickly caught fire commercially, charting at No.14 in its first week of release in the US, where it was later certified platinum; its performance enhanced by its lead single, ‘Apologize’. Initially released in its sparse original form, this song was later subtly rearranged with a more pronounced R&B feel by Timbaland, and, consequently, the Timbaland Presents OneRepublic remix of ‘Apologize’ became a major hit, selling five million copies globally and eventually reaching No.1 in 16 countries. 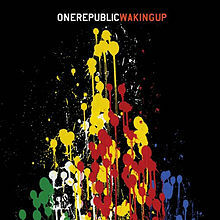 Following such a runaway success would spook the most level-headed of bands, but OneRepublic kept theirs in check and issued a strong sophomore release, Waking Up, in November 2009. Again a capable performer, the album peaked at No.21 on the Billboard chart, went gold in the US and racked up worldwide sales of around a million copies on the back of a quartet of catchy, inventive singles including the defiant ‘Marchin’ On’ (chosen as German TV channel ZDF’s promotional FIFA 2010 World Cup song) and the radio-friendly, positivity-imbued ‘Good Life’. OneRepublic took to the road in earnest in the aftermath of Waking Up’s release, their schedule including high-profile support slots with Pink on her Funhouse Summer Carnival Tour; three shows with Bon Jovi at London’s O2 Arena in June 2010; and a lengthy fall tour of the US with Maroon 5 that same year. During this period, Ryan Tedder’s diary was also stuffed with collaborative ventures as he produced tracks on albums such as Adele’s 21 and Leona Lewis’ Glassheart, and co-wrote for artists as diverse as Jennifer Hudson and Chris Cornell. After ‘Good Life’, OneRepublic’s next official release was their first Yuletide song, 2011’s ‘Christmas Without You’: a lilting, melancholic affair and undeniably one of the more acceptable festive offerings of recent years. The band then returned to the fray with their highly anticipated third LP, Native, in March 2013. Arguably their most assured and confident pop/rock set to date, it touched down at No.4 on the Billboard chart on its week of release, scooping OneRepublic their first Top 10 album success in the US. Native had originally been scheduled for release some months earlier, so the intended trailer single, ‘Feel Again’, was re-branded as a “promotional” single and issued as part of Save The Children’s Every Beat Matters campaign, which also received a percentage of the royalties. The song itself remains one of the band’s most striking compositions, with a distinct gospel vibe, a surging chorus and one of Ryan Tedder’s most heartfelt, aspirational vocal performances to date. Though the album’s first official global single was ‘If I Lose Myself’, its third, ‘Counting Stars’, elevated OneRepublic to another level altogether. Tedder initially came up with the melody while waiting for Beyoncé to arrive for a recording session in a huge house in the Hamptons, which Jay Z and Beyoncé were renting during 2012. He reputedly considered offering Beyoncé the song afterwards but eventually chose to keep it for OneRepublic: this decision allowing the hook-laden ‘Counting Stars’ to become the band’s most successful single from Native and also provide them with their biggest hit to date (the song cracked the Top 5 in the US Billboard Hot 100 and headed to No.1 in the UK). OneRepublic embarked on an ambitious world tour in support of the album. Their extensive ‘Native Tour’ took in an initial 21-date European jaunt in April 2013, followed by a whopping 52-date US outing, and further shows in Asia and Australasia. An additional run of European shows took place in March 2014, after which the band touched down in the UK and Ireland. With further US dates scheduled, Native was reissued in the spring of 2014 with the addition of a new song: a sinewy, blues-inflected track called ‘Love Runs Out’ (recorded at Studio Faust Records in Prague) which again cracked the UK Top 5 in April 2014 when released as a single. 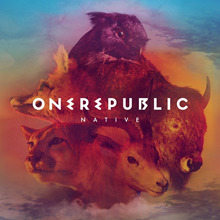 With the album still doing good business, the ‘Native Tour’ continued on through 2014 – with OneRepublic playing their first arena tour of Europe during October and November – before finally winding down in April 2015 after the band played at the prestigious Rock In Rio festival during their first ever visit to South America. Despite OneRepublic’s relentless touring over the past three years, Ryan Tedder’s phenomenal work ethic seemingly remains unquenchable. Early in 2014, Billboard splashed him on their cover, dubbing him “The Undercover King Of Pop”. He’s been a regular feature on the international pop scene ever since, co-producing a quartet of tracks from U2’s Songs Of Innocence, writing and producing Ella Henderson’s UK chart-topper ‘Ghost’, and collaborating with fellow Interscope artists Maroon 5 on their fifth LP, V.
The final single to be lifted from Native, ‘I Lived’ – issued with an affecting video to raise awareness of cystic fibrosis – was released in September 2014. Only weeks later, however, Ryan Tedder and co had already begun work on their next album. Those initial recordings took place while the band were still in Europe, and sessions have continued over the past 12 months. With OneRepublic’s (still untitled) fourth album nearing completion and set to be unleashed in the early part of next year, it looks like 2016 is going to be theirs for the taking – once again. As a songwriter for other contemporary pop stars, Ryan Tedder has proven his talent for writing intensely catchy songs that stick in people's heads whether they like it or not. But of course, plenty of people do like it, as evidenced not only by Tedder's success producing songs for such artists as Adele, Leona Lewis, and Maroon 5, but also with his own band, OneRepublic. And as with 2006's Dreaming Out Loud and 2009's Waking Up, OneRepublic's 2013 third studio album, Native, once again gives Tedder a vehicle to turn his hitmaking abilities on himself, and in the process, steal just a little bit of the spotlight away from his more recognizable clients. And why shouldn't he? Tedder has a burnished, resonant singing voice and a passionate, emotive vocal style that's perfectly suited for the uplifting crossover songs he so expertly writes. And that's kind of the dilemma for Tedder and OneRepublic, now three albums out. How do they stand out in a sea of other artists who sound so similar to them, primarily because as a songwriter, Tedder has largely defined much of the entire modern pop sound? In many ways, OneRepublic are a clearing house for mainstream pop sensibilities, and Native is no exception, with songs such as "If I Lose Myself Again," "I Lived," and "Au Revoir" touching upon the soaring, piano-driven alt-rock of Coldplay, the funky, synthetic, blue-eyed-soul of Maroon 5, and the slick yet earnest R&B balladry of any number of modern divas. Which isn't to say that the songs on Native are unremarkable. On the contrary, Tedder reveals a broad palette of stylistic inspiration, and cuts like the roiling, romantic "Light It Up" and atmospheric and yearning "Can't Stop" touch upon the ruminative qualities of indie rock, the falsetto-heavy tones of Prince-style lead vocals, and the wide-eyed drama of '80s Peter Gabriel and Kate Bush. In some ways, Tedder's talent lies in re-appropriating the latest pop trend to fit his own songwriting style. Here, on tracks like "Counting Stars," Tedder has clearly been listening to the British folk-rockers Mumford & Sons and, as evidenced by the percussive operatic of "Feel Again," Florence and the Machine. Of course, with Tedder having possibly worked with any one of the artists mentioned here prior to recording Native, one could argue that he's merely re-appropriating his own sound. Ultimately, all of this might seem like more of a knock against OneRepublic as pop opportunists, if the music weren't so dang catchy. When a remixed version of "Apologize" found its way onto Timbaland Presents Shock Value in early 2007, OneRepublic were faced with an odd predicament -- the group had a number one pop hit without an accompanying album. Dreaming Out Loud corrected that problem, delivering a marketable brand of piano-led pop/rock that combined the melodicism of the Fray with the vocal acrobatics of Maroon 5's Adam Levine. It's a testament to the band's appeal that "Apologize" sounds better in its original setting than in the Timbaland remix, a fact that owes as much to the musicianship itself as frontman Ryan Tedder's own experience as a producer. He was one of the industry's hottest commodities in 2007, co-writing material for Hilary Duff, Ashley Tisdale, and Natasha Bedingfield while producing tracks for Jennifer Lopez and American Idol runner-up Blake Lewis. Tedder also saved some material for OneRepublic's debut, and his band wound up eclipsing many of his past clients in popularity. Tedder kept working with other artists during the following years, penning hit songs like "Bleeding Love" and "Halo" in the process. Dreaming Out Loud had its own share of hits, too -- "Apologize" enjoyed a healthy residence on the charts, as did "Stop and Stare" -- but the album still sounded derivative, almost as if it were mimicking the popular trends that Tedder helped create with his production gigs. "All We Are" was particularly Fray-like, with Tedder wailing a radio-ready melody over layers of piano and swelling guitar, while the ghost of Coldplay loomed large on other tracks. None of this made Dreaming Out Loud a bad album, particularly, but it did make it an unoriginal one, and Tedder continued to fare better whenever he was writing for groups other than his own. Success is the gateway to many indulgences, not just those born of the flesh. Success opens the gates to any numbers of pretensions: sawing strings, children's choirs, minor-key piano lines reminiscent of Nigel Tufnel, cavernous U2 reverb, long ponderous instrumental sections of piano and orchestra duets. OneRepublic hits every one of these marks on their second album, Waking Up, along with numerous other excesses, including a title track that bears echoes of the Killers, only with their goofy pomp replaced with po-faced circumstance. There’s no room for humor, intentional or otherwise, within OneRepublic’s music: everything is tightly controlled and serious, with love songs playing as blood oaths and the group’s modern R&B affectations - the one thing that keeps them from dipping into an adult contemporary morass - playing like a graceless assault, a cold clinical wall of synths. Chief songwriter/producer/singer Ryan Tedder can construct some chilly hooks out of this iciness, just like he did with "Apologize” and Leona Lewis’s “Bleeding Love,” but there’s no joy, only dogged diligence, an alienating insistence that texture means more than warmth or melody.